Thank you everyone who supported the Gift Basket for raising funds for Nepal and assume you are loving the wonderful Yak Blankets!! There will be some more arriving in due course. Leah has picked up the Gift Basket and it will be raffled at the fundraising auction at the end of the month. 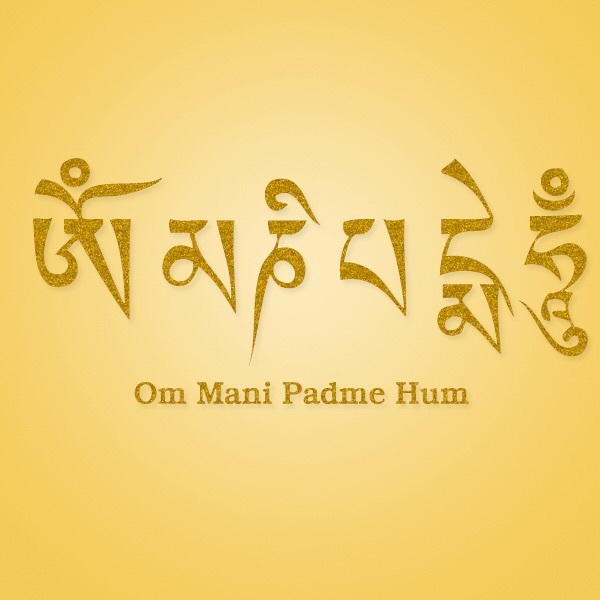 The above post was on facebook recently and I thought it appropriate for this months’ newsletter as the mantra for your 40 day mantra meditation is: OM MANI PADME OM which according to Thomas Ashley-Farrand (author of Mantra Meditation) when chanted all of humanity are benefitted. So a way to dedicate our meditations to benefit those affected by the recent earthquake in Nepal. “This mantra naturally comes to our hearts in any kind of difficult situation. This mantra evokes the heart of the Buddha of Compassion, Chenrezig, and expresses compassions’ universal energy that turns: suffering into bliss, evil to goodness, darkness to light. Visualise a jewelled wheel spinning in your heart as you extend compassion to all sentient beings. The lotus flower is a symbol of the compassionate, enlightened mind. Mani means jewel (method). Padme means lotus (wisdom). By uniting method and wisdom we purify our body, speech and mind. 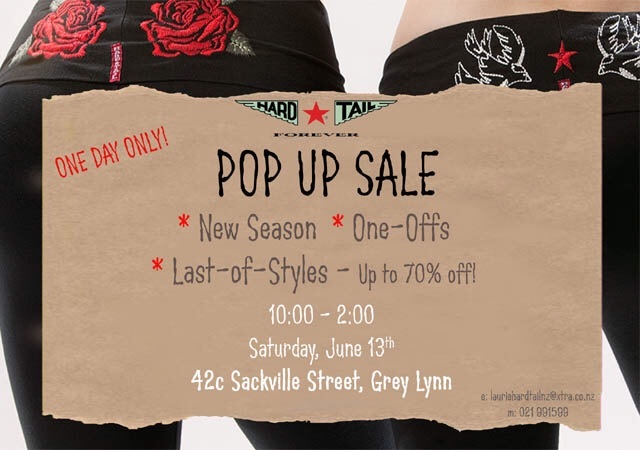 Laurie is having a big stock clearance at her premises 42c Sackville Street, Ponsonby – with up to 70% off the HardTail Range!! Are you keen to reinvent yourself and what’s possible in your life? Hey gorgeous, it’s time now for YOU! It’s time to start feeling excited, not exhausted, passionate not passionless and looking after yourself and taking “me time”, not constantly looking after others. So come join us for a beautiful day of fun, laughter, wisdom, connection and pleasure. Be one of the 20 women (yes only 20 spaces available!) who come to the day which includes a lunch (from my handsome French partner’s cafe Pyrenees) and bubbles, not to mention some gorgeous women to hang out with. So pencil it in your diary now and book your ticket here today. And hey why not share this with a friend or family member and invite them too? Lunch & bubbles provided. 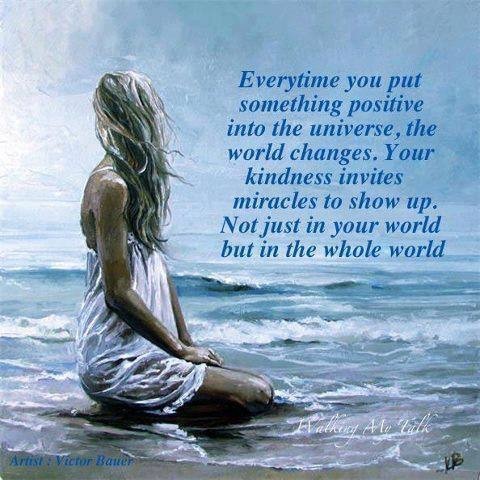 Francoise and I will also be sharing the other fabulous events, retreats and services that can support you on-goingly claim your power as a beautiful woman in this world. for just $97 and don’t forget, you need to be in! Join Annie for an introduction and overview of the Tarot. This session will give you an understanding of the format, wisdom and methodology of tarot cards. Discover your Destiny Card, Soul Card and Personality card – helping you to understand your souls’ journey in this lifetime. Learn how you can use the Tarot to help unlock the keys to achieving your potential. An opportunity to work with and use a variety of beautiful decks to inspire you on your Tarot Journey. Please note that for the time being there is no Thursday evening or Sunday morning yoga. Amber presented two great workshops on the weekend and is a lovely teacher and I know a lot of you are keen to participate in more sessions with her. Let me know if you’d like to attend the monthly sessions where Amber will continue the Yin journey through the body over the next 4 months: Hip Series, Liver/Gallbladder, Spleen/Stomach and Heart/Small Intestine with Lung/Large Intestine. Enjoy a wonderful long weekend! Read on for a reminder of this months’ workshops – bookings are coming in so do book your spaces early to avoid disappointment. Firstly though a way you can help…..
Leah Routen from Change a Life Journey has supported our monthly markets with her beautiful products from Nepal and supplied us with those beautiful Yak wool blankets. The community she supports has been devastated with the recent earthquake and she is raising funds to rebuild the village. Blankets are at the studio $40 each and proceeds all go to the fundraising. Plus I am setting up gift baskets at the studio you can donate to which will then be raffled off to raise funds for the project. All monies will go directly to the fund. 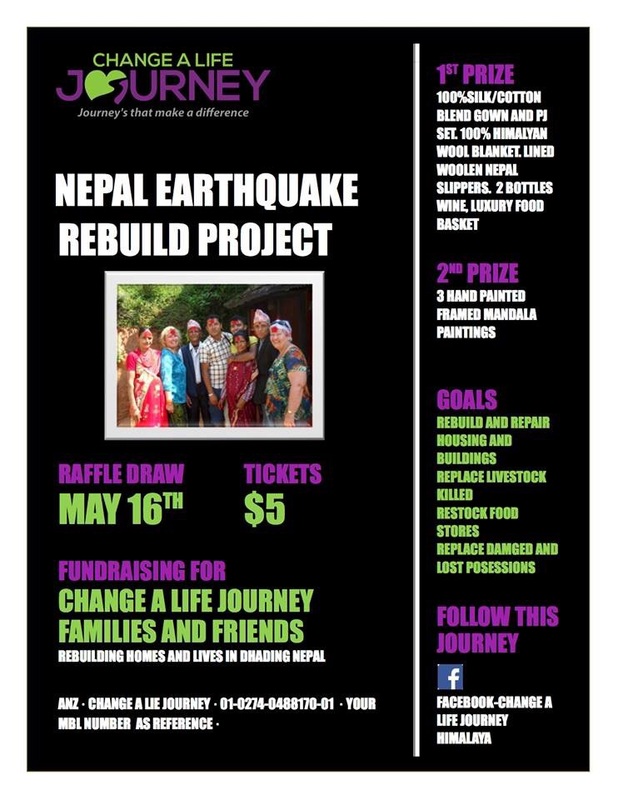 You can follow the journey on Leah’s FB page: Change a Life Journey Himalaya and you can buy raffle tickets for the auction evening. Create your own Mala, maybe a Chan Lu inspired ladder bracelet or wrap a crystal in a basket. 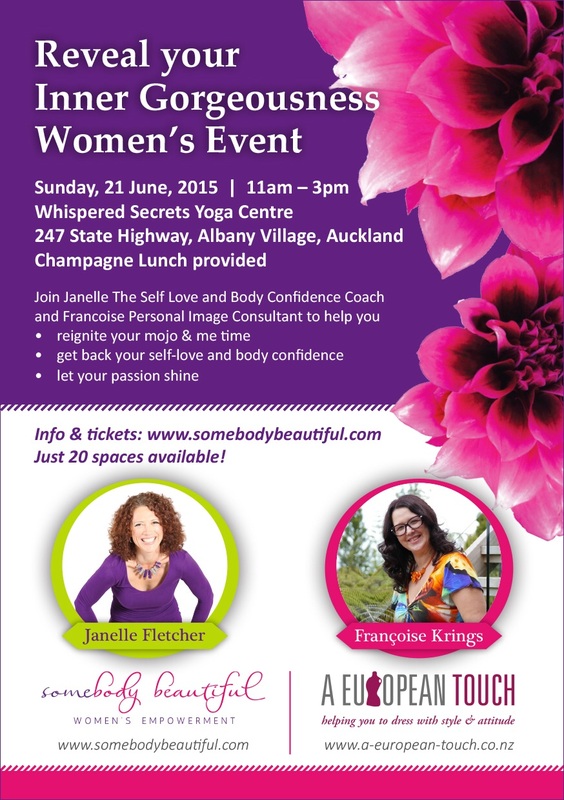 Numbers are limited so please book early – Email: whisperedsecretsyoga@gmail.com. Cost $50 plus cost of beads and please bring a plate for a shared lunch. Amber has trained with some of the most respected Yin Yoga teachers and will be sharing her expertise on Yin Yoga in two yoga classes. If you have never done a Yin Class, or would like to know more about why this practice is so beneficial – then this is an excellent starting point. Amber will be focussing on two key areas. With 80% of the Western World experiencing some form of chronic back pain in their lifetime, greater awareness is needed in how to maintain health in this core region of our body. The first workshop will look at how to safely work with the spine to illict the bodys’ natural healing response and counteract effects of deterioration and degeneration. In the second workshop we will look at the subtle body and learn the path of the kidney meridian – working with specific Yin poses that stimulate Qi flow to draw refined energy to the deepest layers of our body. The kidneys, described in Chinese medicine as the ‘root of life’, will replenish all the organs of the body when balance and health are maintained. $40 per day, or $72 for both days.